4DABUCKS and Sligh1 like this. Prairie management and Prairie planting. Nothing better than a year round food plot that doubles as great habitat. Any reason you chose to go with Cedar? I will TSI some timber areas this winter. Finish up "around the edges" a little on last years sizable CRP replanting effort. I redid about 70 acres of mostly brome CRP over into mostly CIR and I have 3 or 4 acres that still need some attention/replanting. 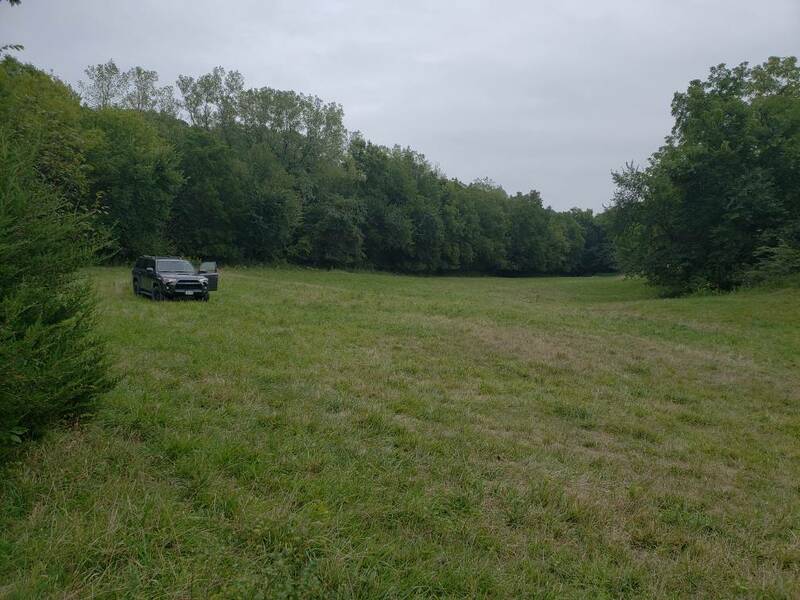 Plant around 15 acres of food plots at various times and in various crops. Relax...fishing in the new pond! Thermal cover, and screening along road frontage. I planted 10 acres of NWSGs last year. I have to ask, Whats CIR? Cave in Rock Switchgrass I believe. IdI Add fruit trees to your list. Correct. Technically, what went in the ground via drill was a prescribed native grasses mix. But with the primary percentage of seed being Cave In Rock switch, I think the CIR will dominate in time and it will be a CIR stand. As long as you can water them in dry years...I would agree. If you cannot reach them and/or don't have the time/energy to water them in the all too common drought years in southern Iowa/Northern MO...you will be wasting your time and money IMO. These wicked droughts over the past few years have eliminated any living fruit tree on my property. I have personally given up on fruit trees at my farm. True, I did not supplemental water them often enough, but maintaining fruit trees during drought is tough sledding. I am up to about 20 fruit trees and I SPEND too much time hauling buckets around watering them during droughts, but I am looking long range. I spent the money on the tree, fencing and fence posts so I want them to survive. Trees I planted in 2012 are bearing hundreds of apples now so it is paying off, but I don't have that many trees. If you weren't providing the water do you think that they would have survived? Now that I have a pond in that area of the farm, maybe I could rig a watering system and plant some more?? I would like to have some fruit trees on the farm. The back is nestled between 100 acres of CRP and next to a large 1000 acre trust of old timber. There were countless deer during the summer/fall but they moved close to food late season so I'm planning on a 2 acre plot of some sort to hold them around with a box blind. No way they would have survived. They are on Hill tops that get full sun and all the wind. First year planted they would have died I believe without the extra watering until they get good roots established. That's what I suspected. I might try it again this year and planting some nearer to the new pond and also making a hillbilly irrigation system from the pond to get water to them. I know they didn't survive at my place just left to themselves. Whether fruit, oak, or a lot of other different kind of trees, I'm going to have to water the first year, and if drought, probably second year, too. I just plant a lot of trees every year, some years don't have to water, some years about ever week at times, sometimes lose enough anyways, but I live here, so can manage it pretty good. If you don't live on the property, kill all vegetation few feet around the planting, use water polymers, and heavy enough mulch layer so that nothing comes up in it the first year, then should be able to skip a lot of waterings. Apples and pears don't suffer too bad from transplanting either. Other than planting more trees and shrubs in 2019, would like to get a pond built, that's always on the list, but never gets done. Apple and Pear. If you do it right the first time I don't think they are all that much work. I've had to water one time in last 5 years. Once they get to 4ish probably never have to water again. Mostly I've planted pink lady, Arkansas black, Enterprise, Liberty on EMLA 111 rootstock. You can also mess with crab apples. 1) I'm moving fruit trees out of my nursery into their permanent home. 2) I got some areas that the Multiflora rose is time to kill. UGGGHHHH!! That one is gonna be a joy!!! 3) Lime, manure & dry fertilizer. 4) Fixing waterways A to Z on whatever they need. 5) Maybe gonna do some aerators in ponds if I can figure out how to do those things. 6) I think I'll get suckered into doing a little TSI for some buddies. Last year or 2 I'm hoping on that. Mulch or cut some cedars on my farm in Iowa. More trails in MN, and a few more food plot locations. As usual, plant 200+ trees, apple, oak, spruce.